I’ve embarked on a new project at my house — stair remodeling. The plan is to replace the treads and a wonky handrail system on our front foyer. I’m using parts and supplies from L.J. Smith Stair Systems, and today I entered phase one of the project: staining the unfinished stair treads. 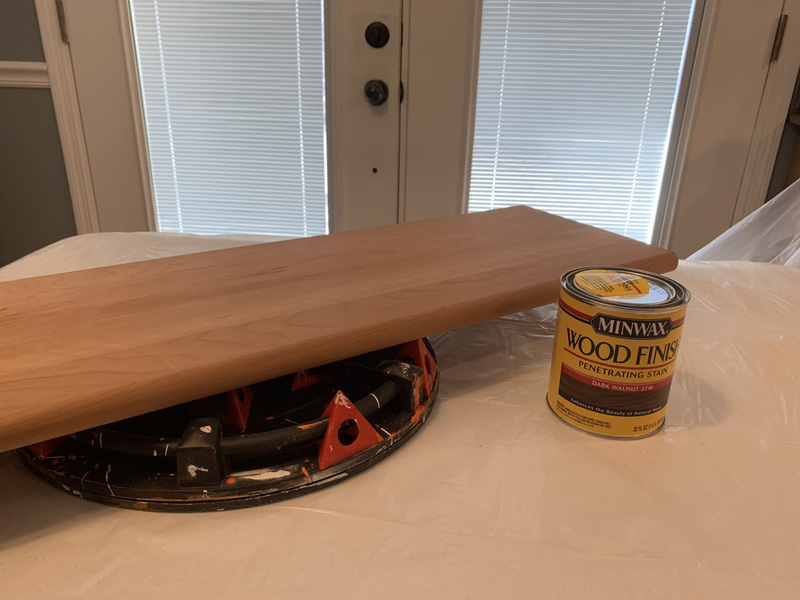 This involved setting up a workstation of table space and drop cloths, then sanding the Cherry wood surface of the treads. 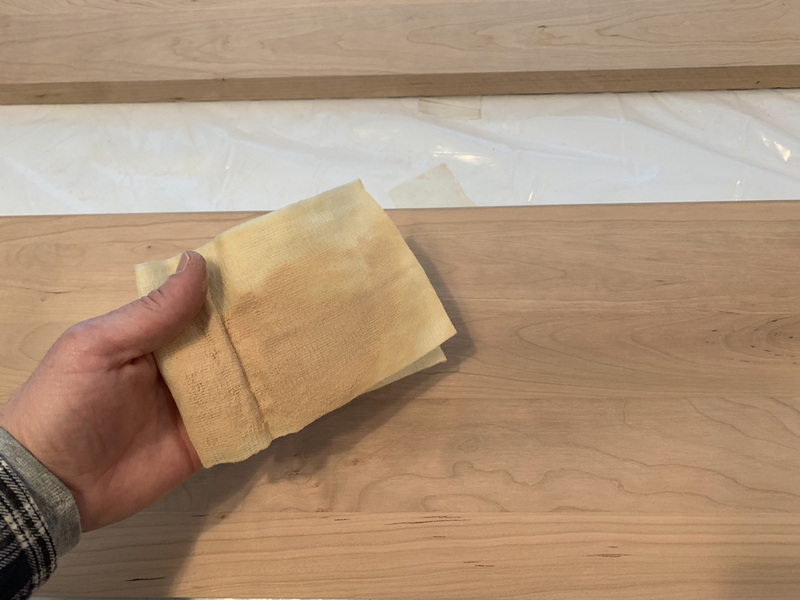 The treads arrive from the factory very smooth, but it’s important to scuff the surface with fine 220-grit sandpaper to remove any oil or grime (from the factory or shipping) that might impede penetration of the stain. Also, don’t forget to sand the rounded nosing, where the wood-grain tends to be rougher due to the routing process. 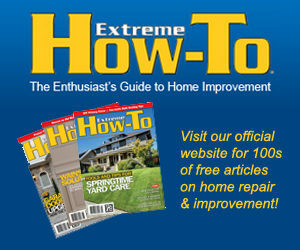 Once you’ve sanded the treads, use a tack cloth to remove the wood dust. Don’t overlook this step. 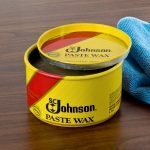 The 220-grit abrasive may not appear to the naked eye to remove much material, but a wipe with a tack cloth will tell a different story, and this leftover dust can cause problems with your stain and finish. 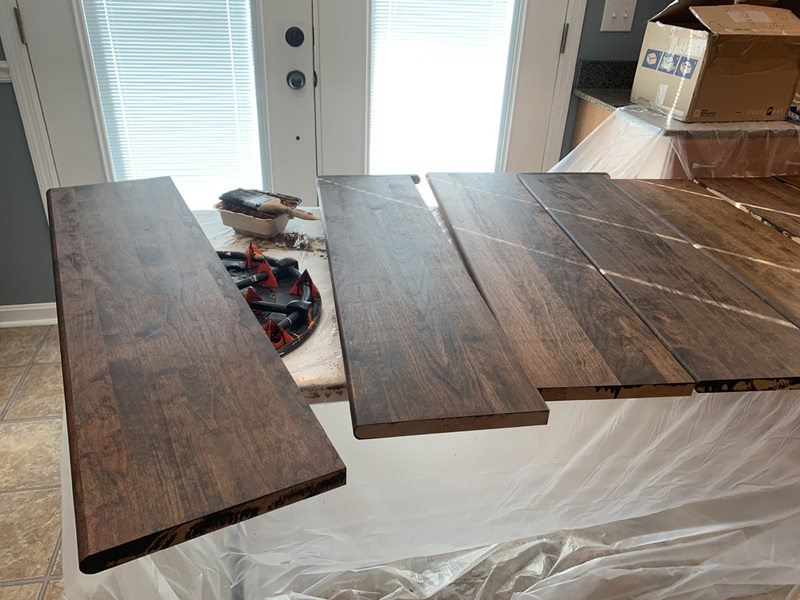 My plan was to match some existing wood trim in the adjacent family room, so I chose a “dark walnut” wood stain and applied it with a 3″ brush. 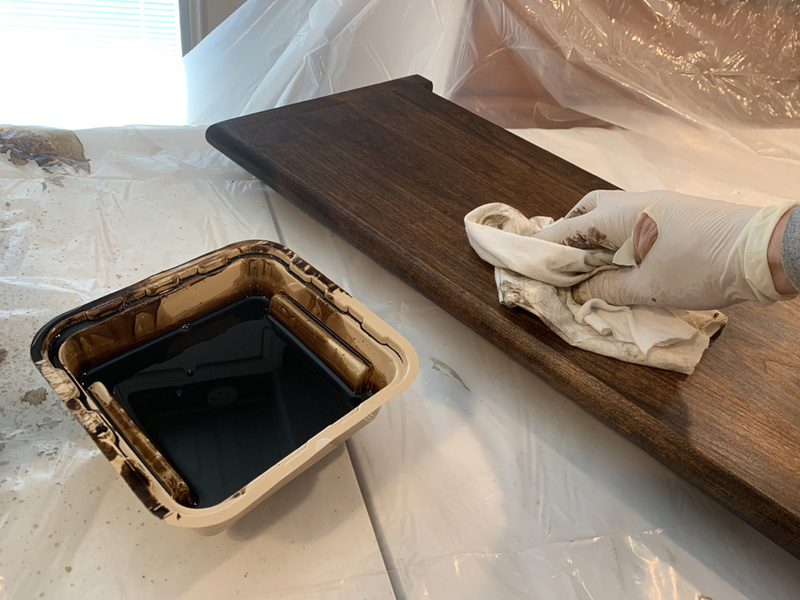 After leaving the stain on the wood surface for about ten minutes, I wiped off the excess with a rag, revealing the richly stained cherry tread. There are fourteen treads involved with this project, so this process took a while. Then the stain has to dry. You know what will take even longer? 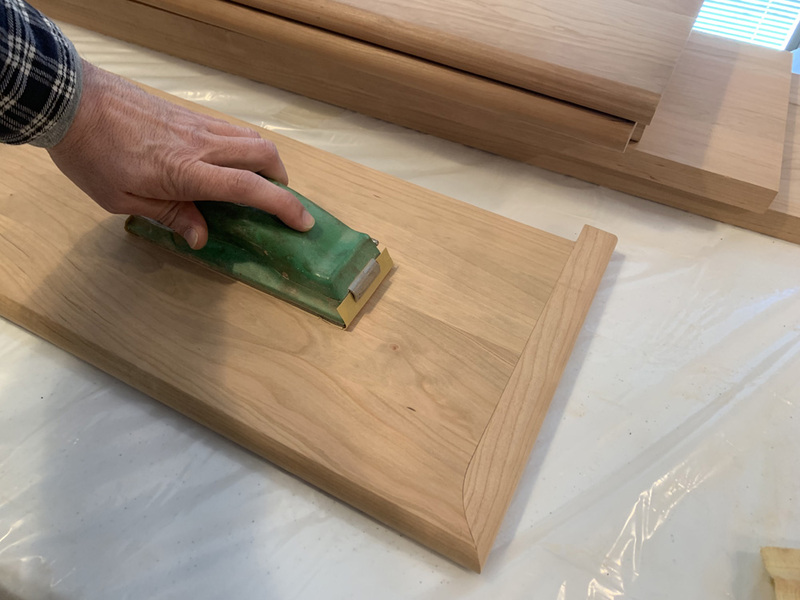 Applying a polyurethane finish. In fact, since these stair treads are intended to withstand years of foot traffic, at least three coats of polyurethane are recommended. And, every side of each tread should be coated with poly so the wood will better withstand changes in temperature and humidity. So I’m looking at a lot of work ahead of me … but it’ll be worth it.